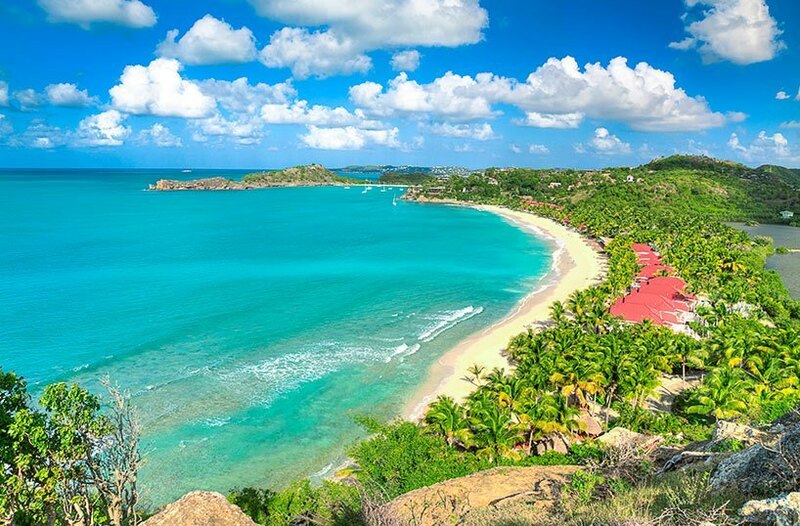 Galley Bay Antigua Resort & Spa is on Antigua’s sunset side, adjacent to the beautiful beaches Deep Bay and Hawksbill on a ¾ mile long beach. 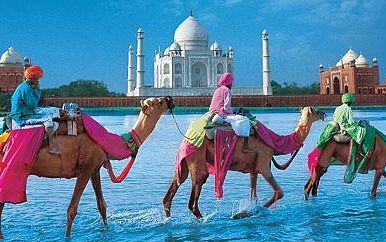 It is only 25 minutes-drive from the airport. 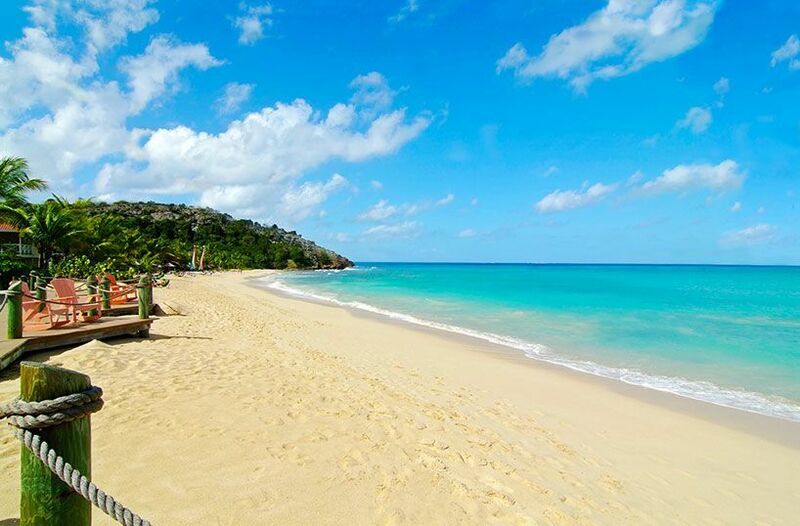 Galley Bay Resort & Spa has a total of 98 rooms on 1 or 2 floors, all with separate bathrooms. 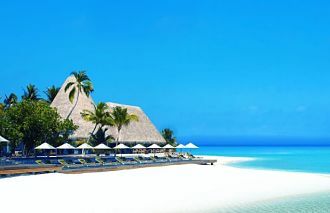 There are three beachfront restaurants, a natural lagoon, where you can watch pelicans, herons and other rare birds. 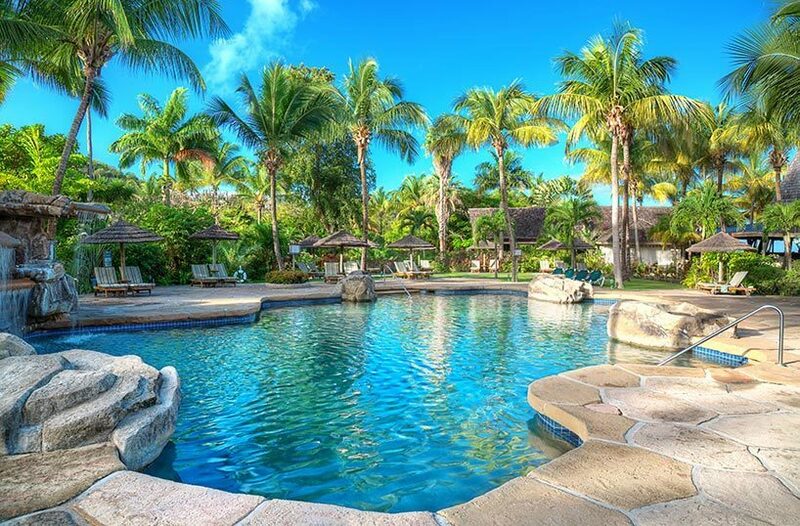 You get great enjoyment on the swimming pool with rocky waterfall or do some water sports like Hobie Cat and sunfish sailing, kayaking, windsurfing, snorkeling and paddle boarding. 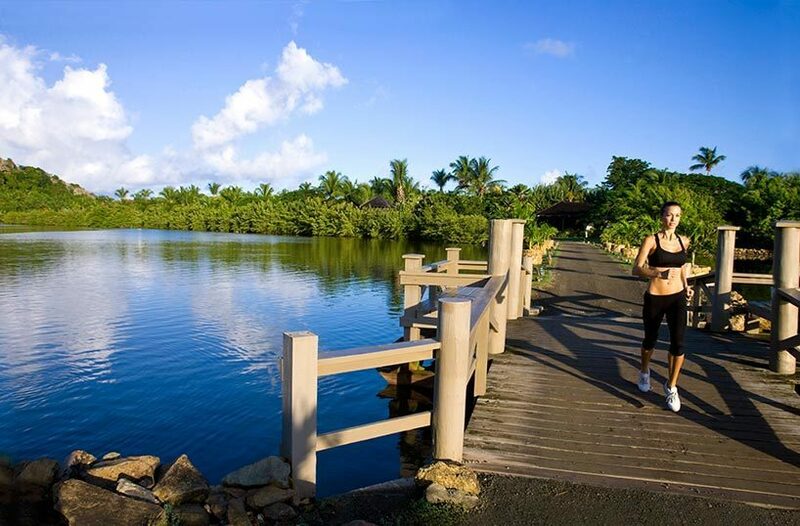 Land-based activities include bicycling, tennis, fishing and bird watching at the spectacular lagoon. There is also a weekly cooking demo that you can join. 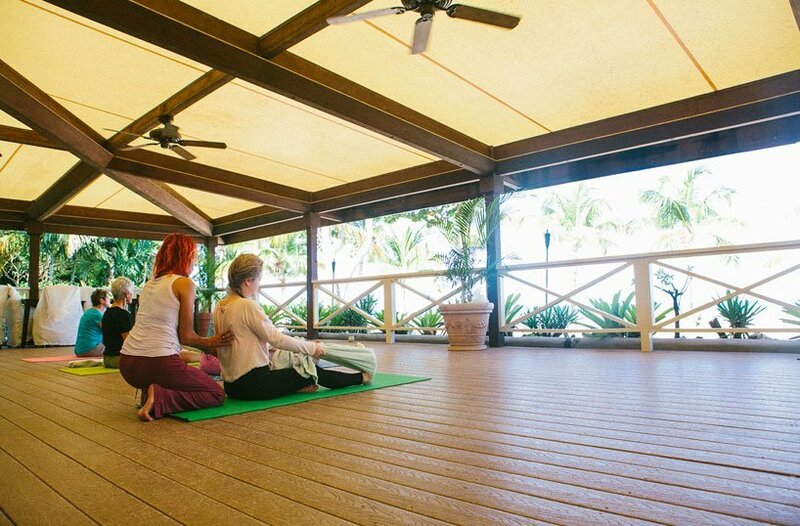 Get fit at the resort’s recently extended fitness center; rejuvenate, reinvigorate and relax at the open-air cabanas of the Spa Indulge. 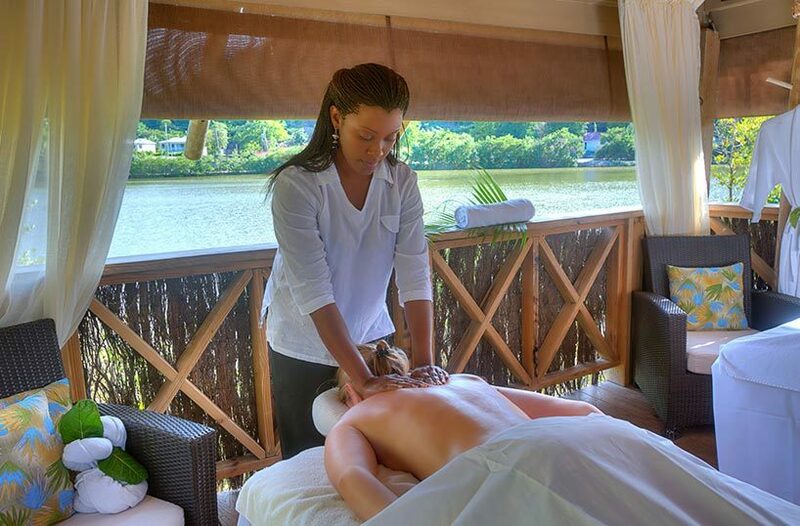 Choose from the many treatment options from massages and facials. 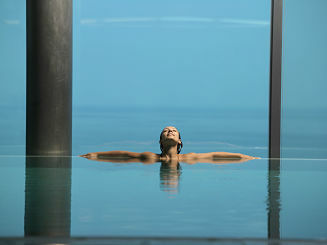 The Indulge Spa offers the utmost in pampering and relaxation. 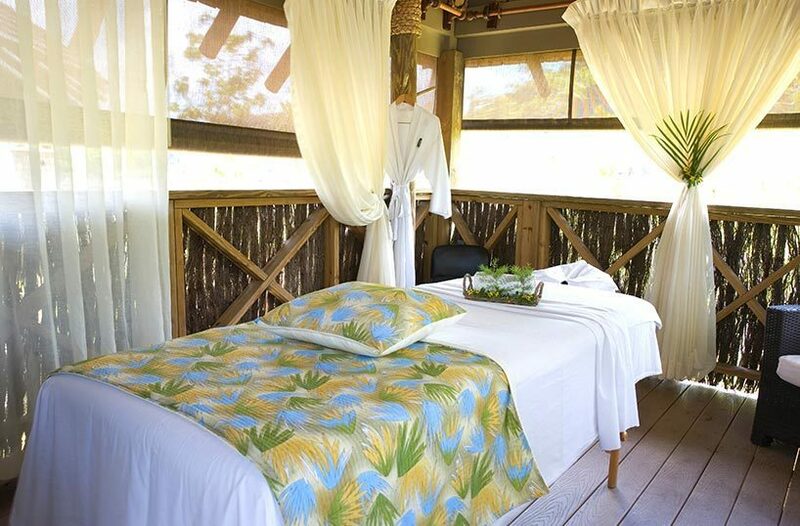 The spa is adjacent to the lagoon and the bird sanctuary and takes on the look of the Gauguin cottages. 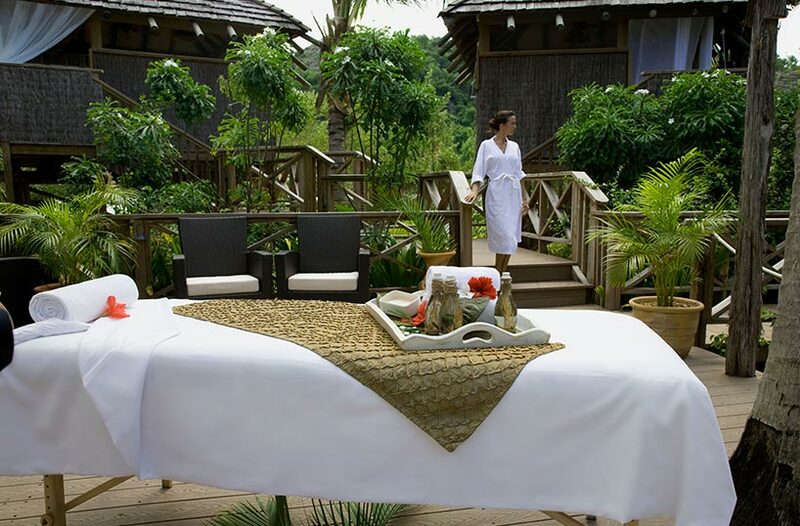 There are three massage areas, one of which accommodates 2 massage tables for couples’ treatments. 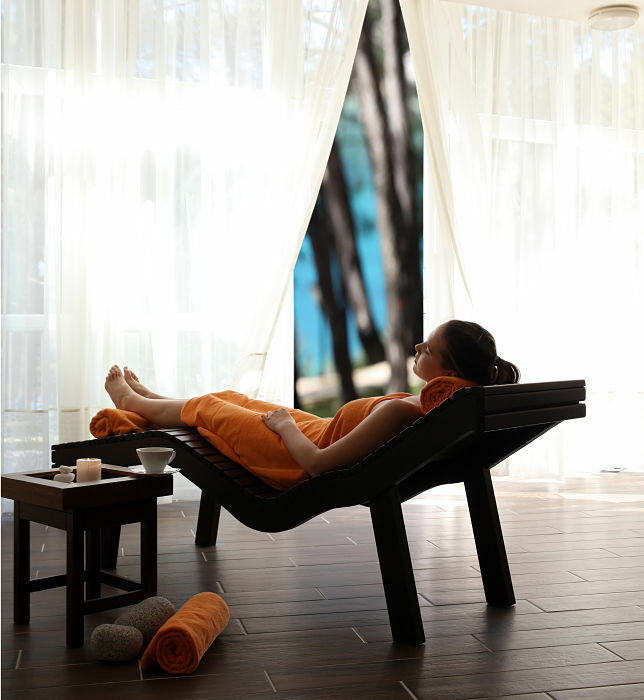 There are also in-room treatments, if you prefer complete privacy. 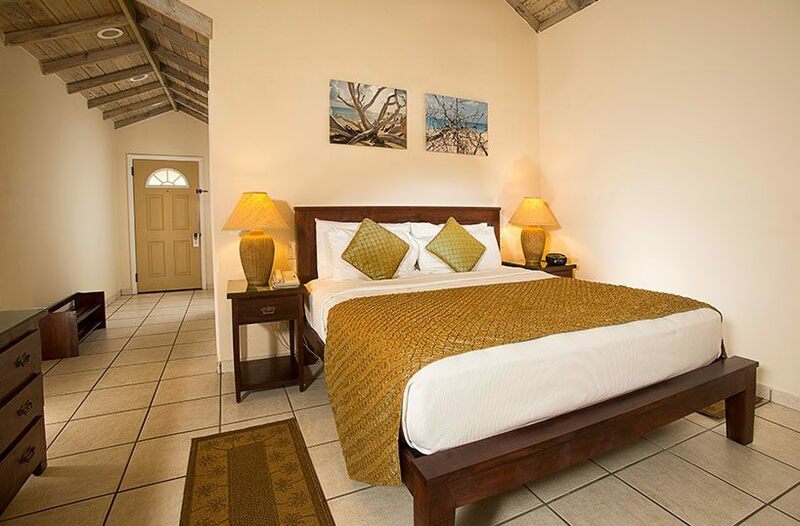 Premium Beachfront Suites are the most luxurious and largest options for accommodation, situated in 2-storey buildings and feature a sunken living room and a bedroom. 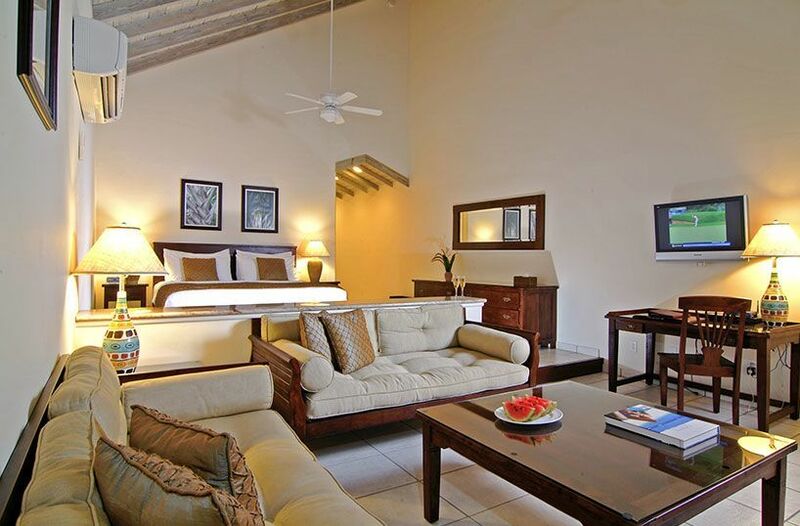 Each suite has a wet bar and a large bathroom with double sinks and walk in shower. These types of suites sleep two adults, but a sofa bed is provided for a third adult. You can access the beach only from the ground floor. 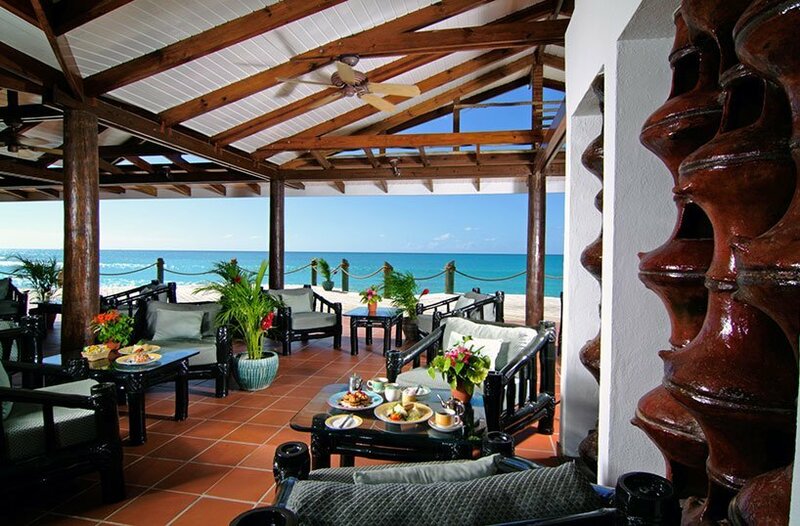 Superior Beachfront Rooms are rustic, charming rooms in two-storey buildings, with en-suite shower rooms featured and a private patio. The bedroom can accommodate two adults maximum. 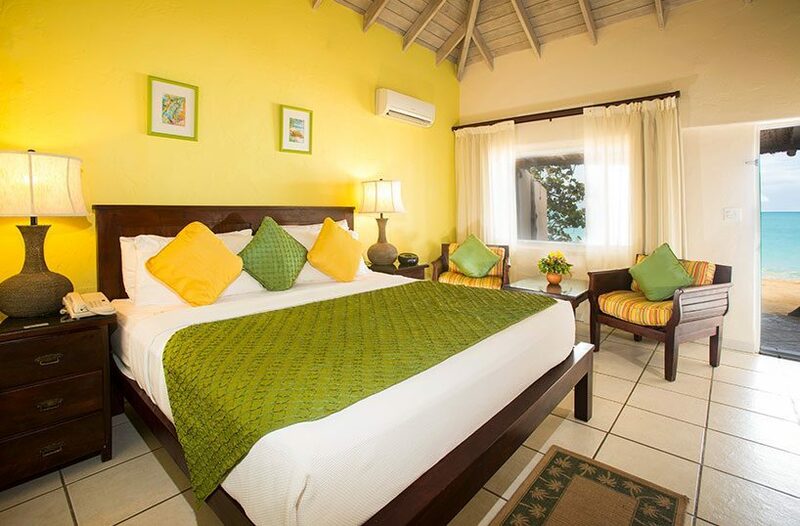 Deluxe Beachfront Rooms are set right on the beach, in one or two-storey buildings. 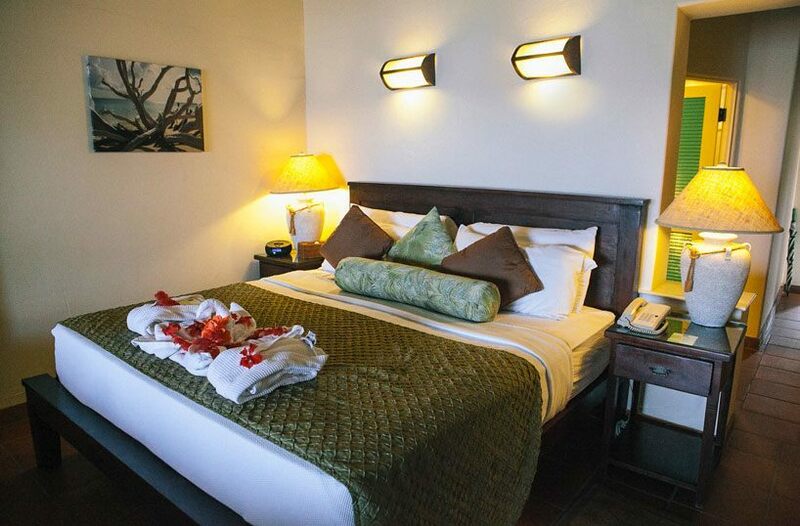 These rooms are larger and appointed with walk in double showers in the bathroom; each room can sleep two adults. Access to the beach is through ground floors only. 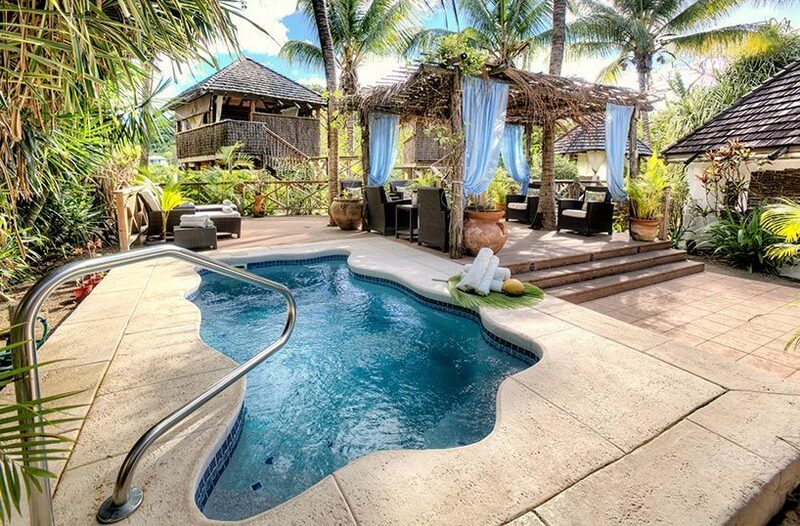 Gauguin Cottages are named after the French artist Gauguin and reflect his Tahitian lifestyle. 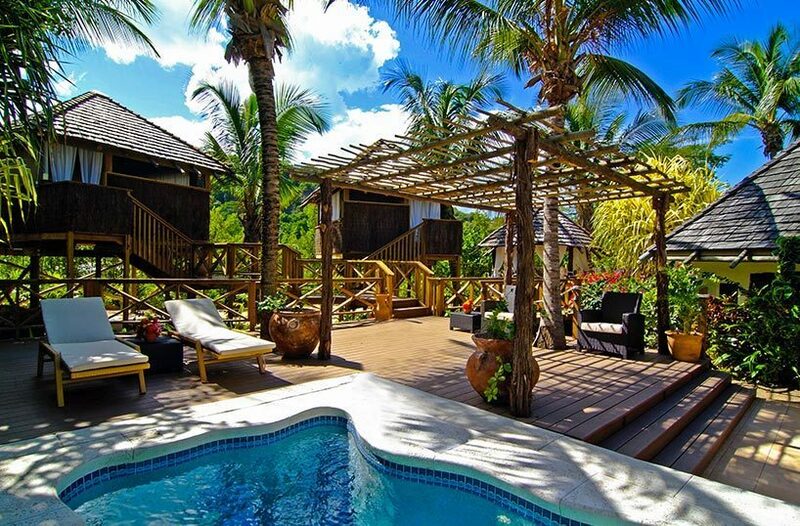 Due to the maximum privacy offered, these cottages have become ideal for honeymooners and couples, who wish to depart temporarily from civilization. 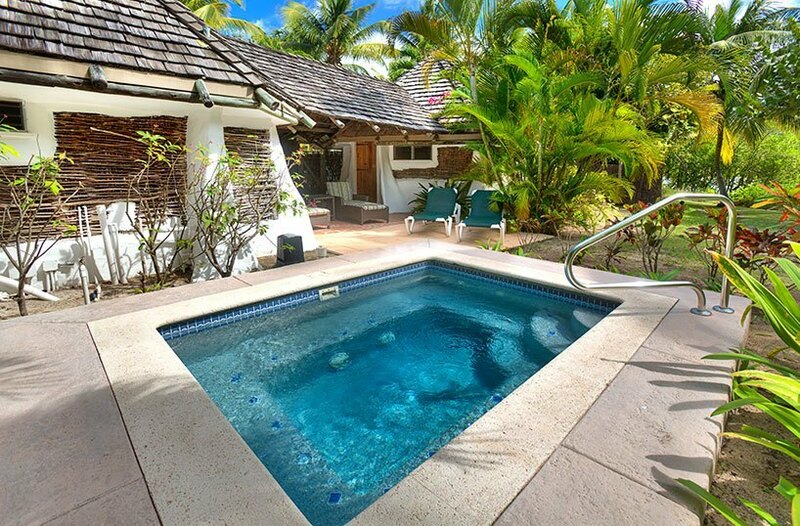 There’s a bath and a concealed patio with a plunge pool, perfect for a romantic swim. 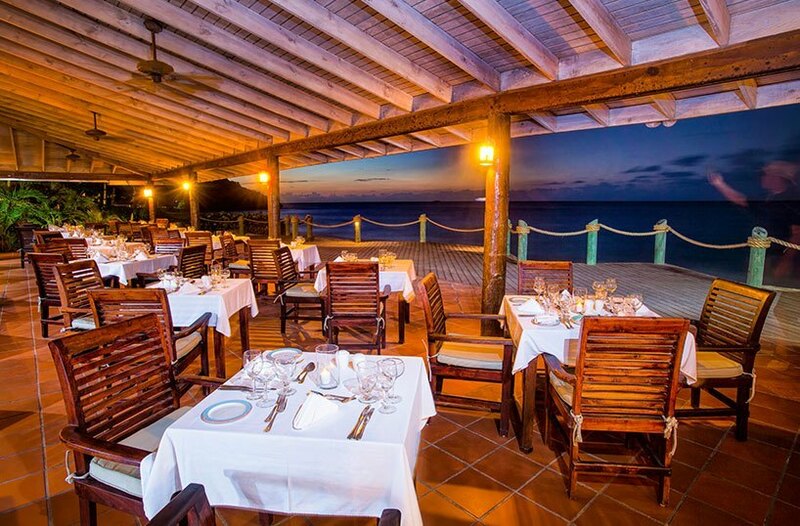 Sea Grape Restaurant serves Euro Caribbean cuisine that is more enhanced by the friendly wait staff. They offer Caribbean barbeque every week. Gauguin Restaurant is a more intimate diner, where romance abounds. Have your dinner by the candle light in your own private cabana. The menus that blend the West Indies, Europe and Pacific Rim menus are changed every week. Ismay’s Restaurant serves a fusion of local and indigenous and Caribbean cuisines for special occasions. The restaurant is located at the southern end of the beach adjacent to the Shell Bay. 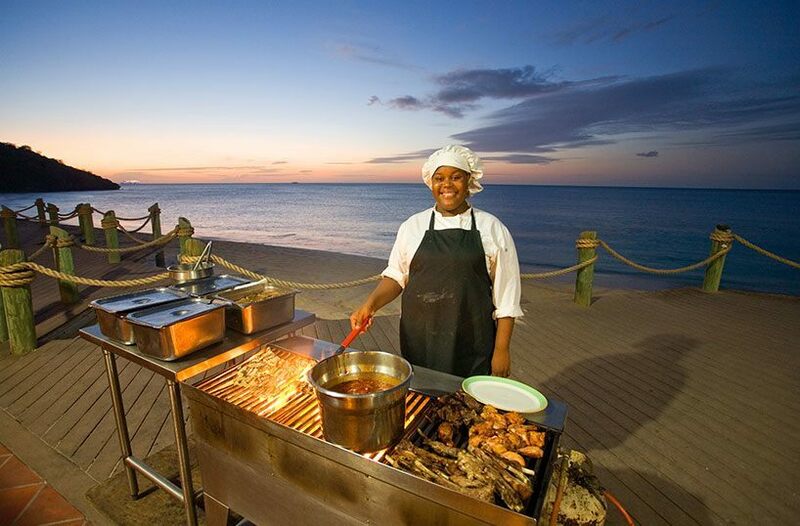 Barefoot Grill serves snack cuisine in a laid back and relaxed beachside atmosphere. Offered here are sandwiches, grilled quesadillas made from vegetables that are grown in the resort. Lounges and Bars include the Tee Pee, Gauguin, Lounge and Ismay’s bars. All these four serve Caribbean cocktails wines by the glass, top shelf liquor and other non-alcoholic beverages.